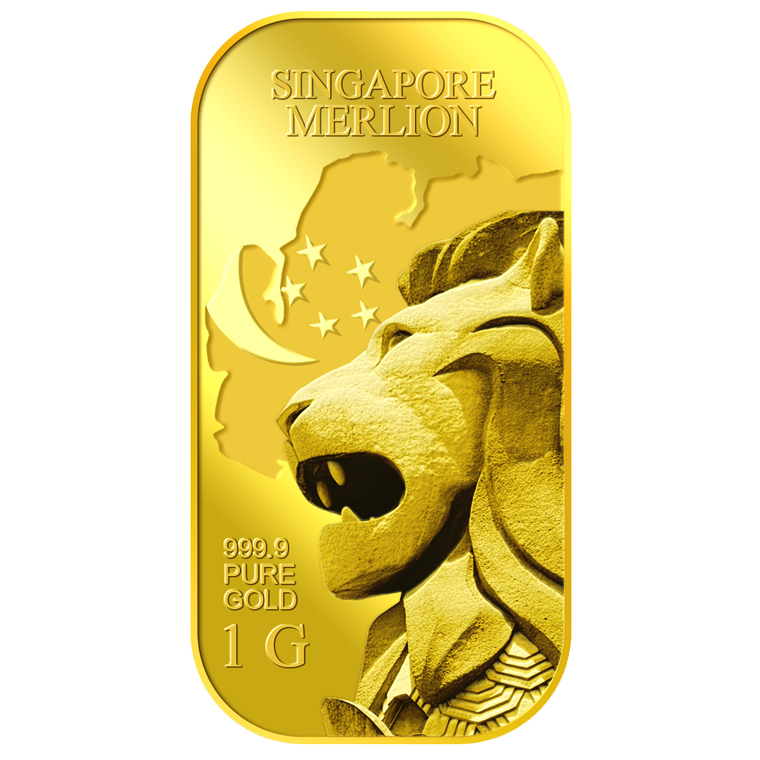 The fish body of the Merlion represents the origin of Singapore as a fishing village and the majestic lion head represents the original name of Singapore, Singapura, which means “Lion City” in Malay. 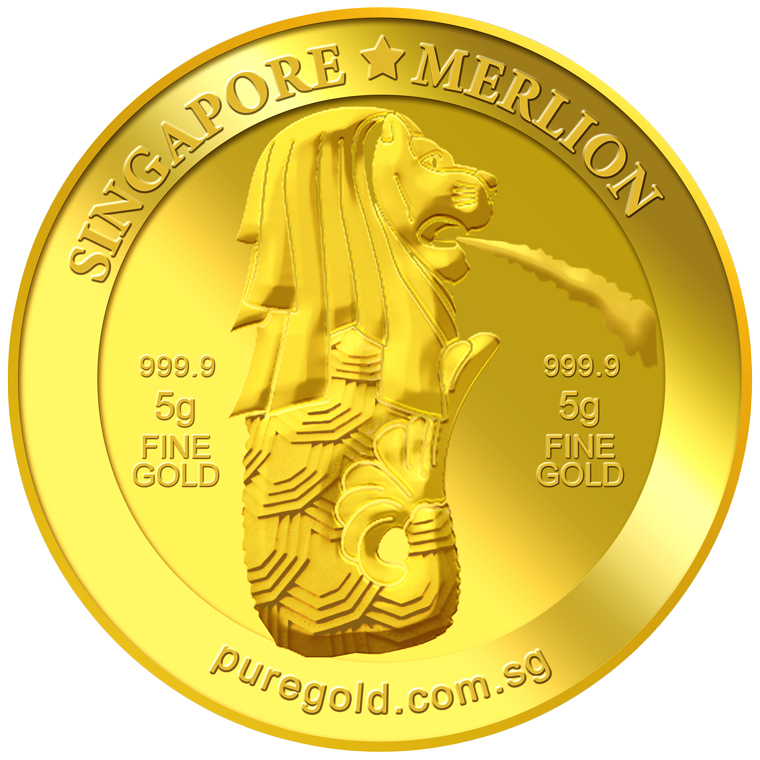 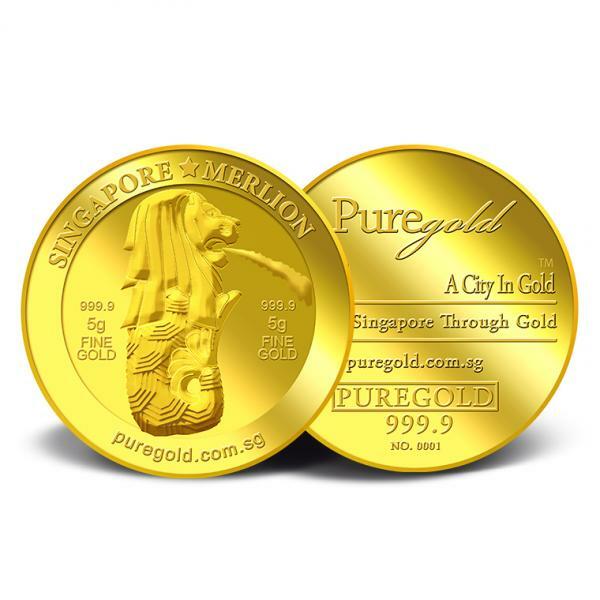 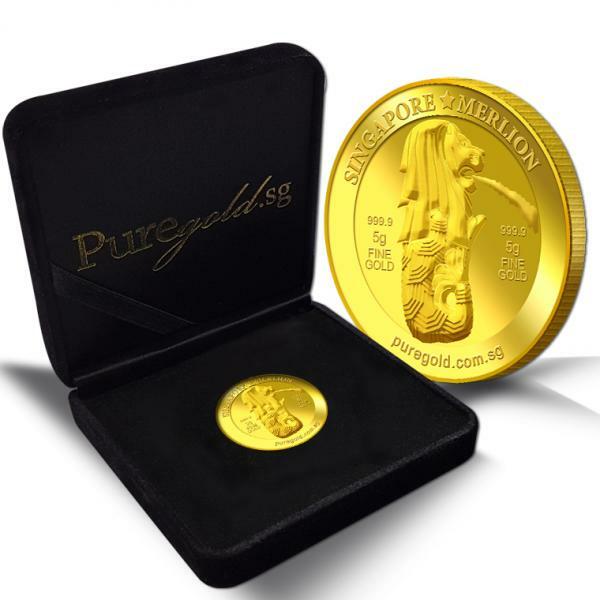 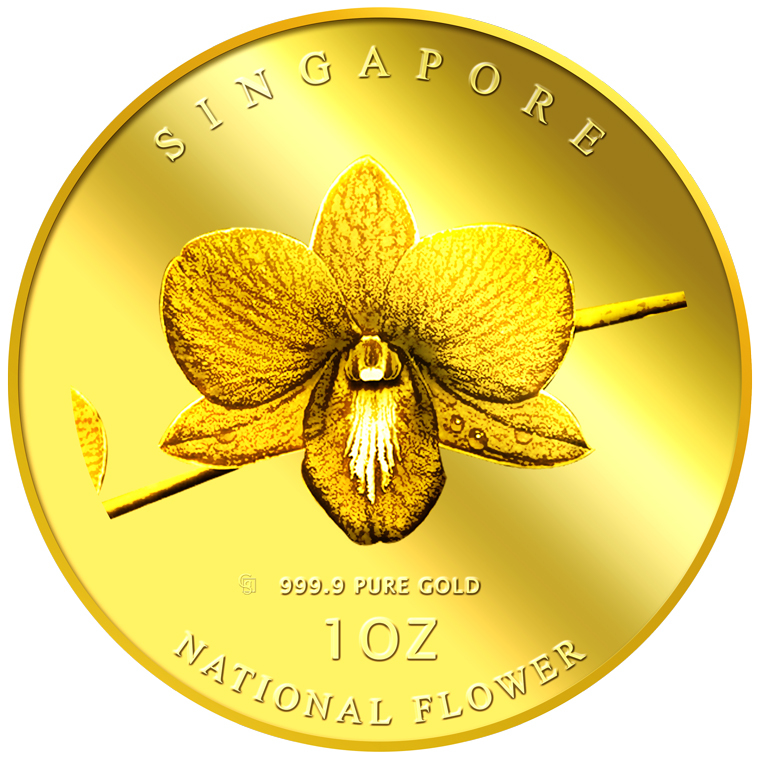 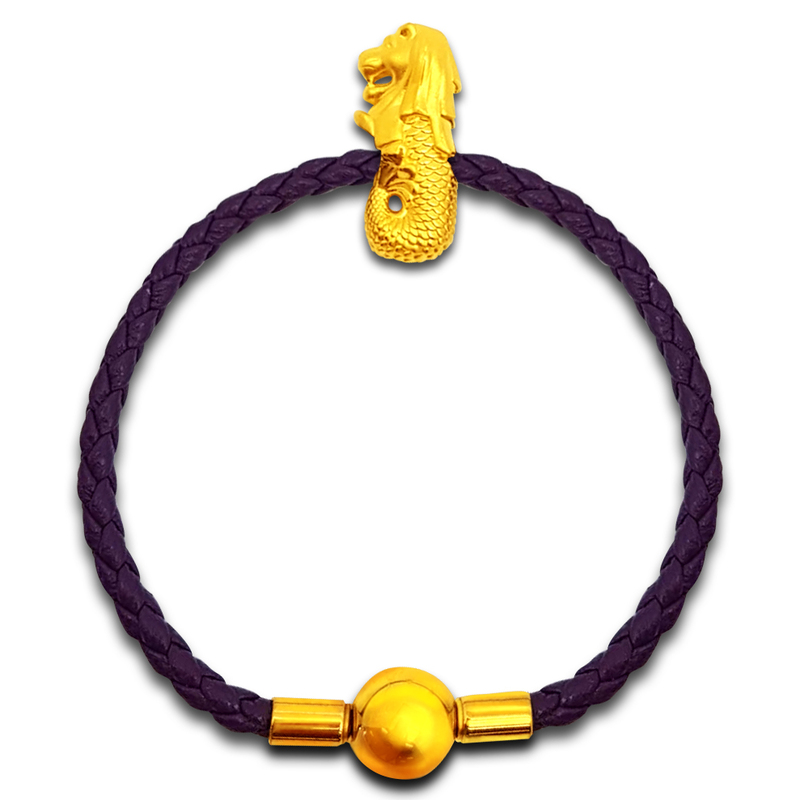 The new version of the Singapore Merlion gold medallion design portrays Singapore’s national mascot, the Merlion, as a fountain with water gushing out from its mouth. 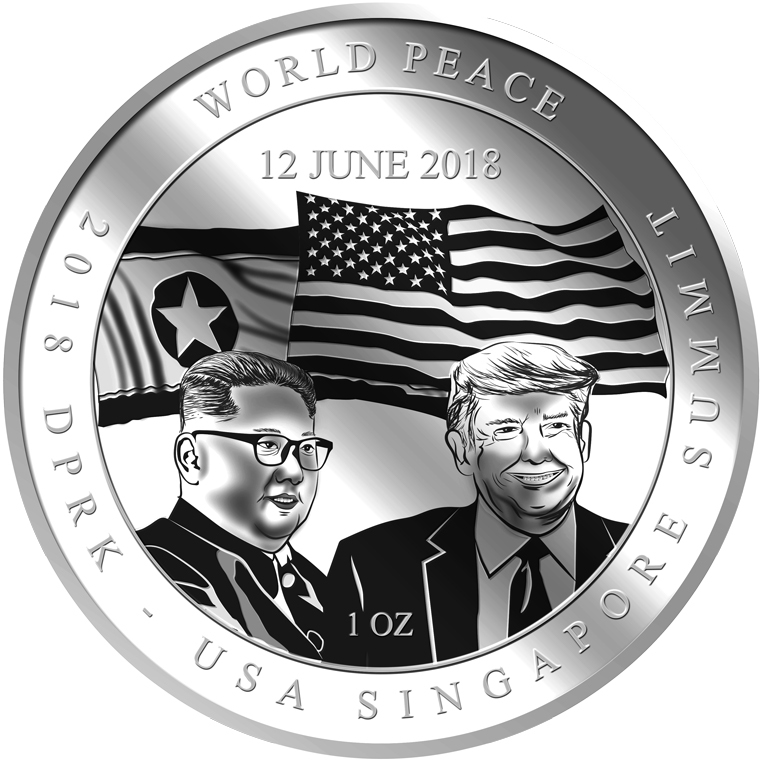 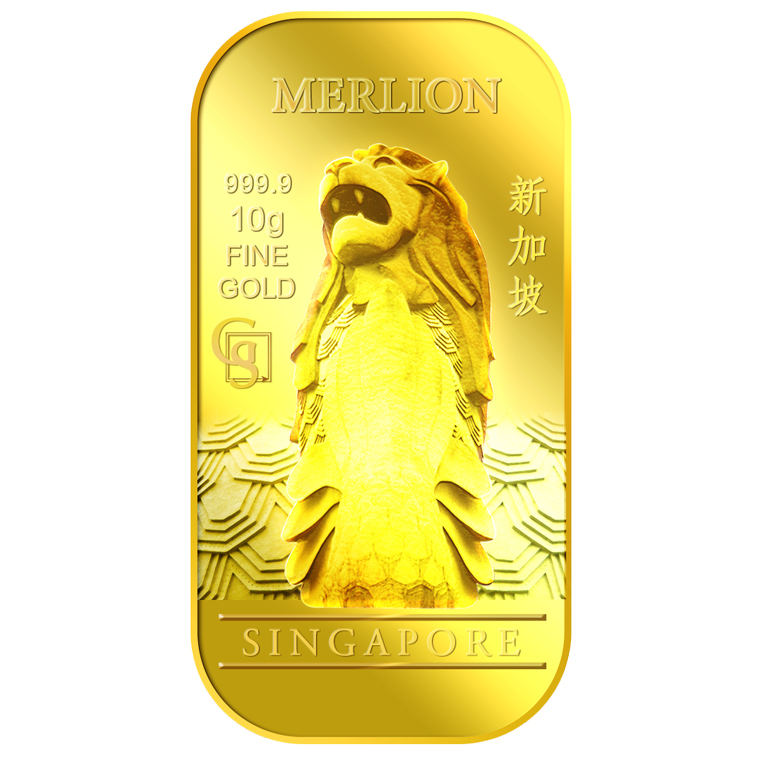 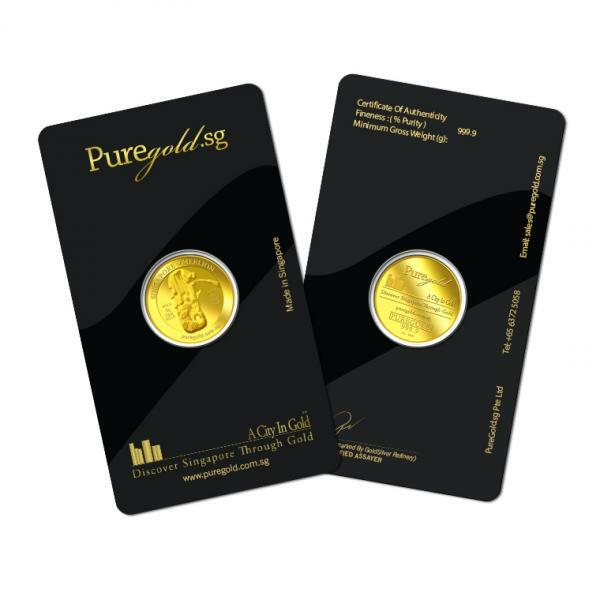 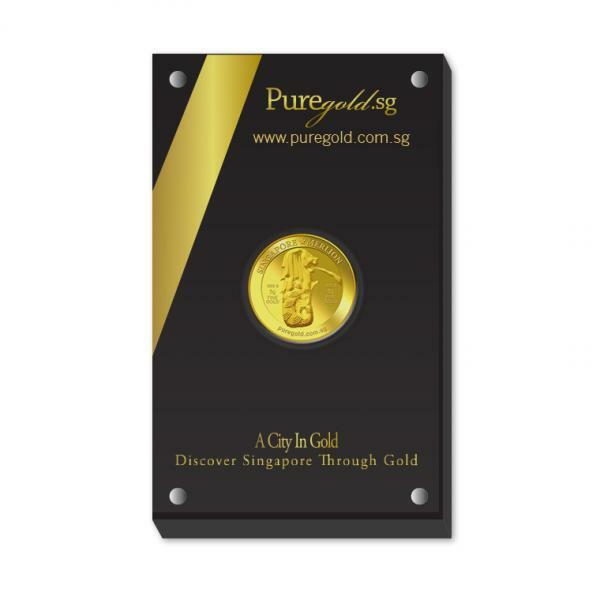 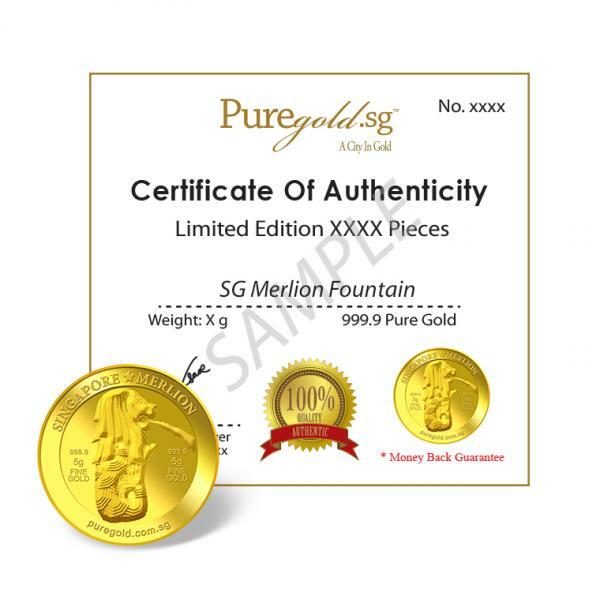 The design also includes the inscription SINGAPORE «MERLION, the medallion’s weight and fineness, and PureGold webpage address.